Home / Unlabelled / The Real Focus On Nigeria, Revealing The Legendary Progressive Agenda Of APGA. The Real Focus On Nigeria, Revealing The Legendary Progressive Agenda Of APGA. 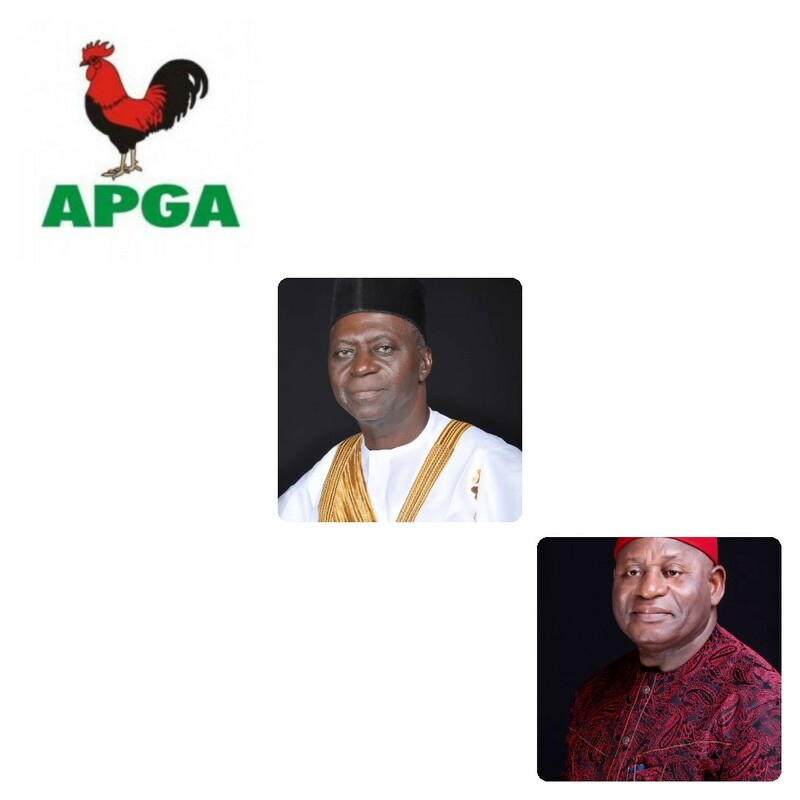 The APGA Presidential Candidate Maj. Gen. John Gbor and his vibrant running mate Chief Jerry Chukwueke has provided a progressive and dynamic system of ideas for the recreation of a functional society in Nigeria. According to Chief Jerry Chukwueke, APGA advocates for true fiscal federalism based on fiscal restructuring as veritable means to curb the dependence of states on federal allocation and the mentality of 'national cake' sharing which encourages laziness most especially in our youths. The option of fiscal restructuring is now a compulsory one as the world move towards alternative and better sources of energy. This raises concern over Nigeria's mono economy and over dependence on crude oil proceeds. Part of the agenda of an APGA led administration, is to immediately push forward all aspects of fiscal restructuring by reducing cost of governance as well as encouraging each geo political zone to engage in areas of core competencies to boost economic activities in the zones. An APGA led government will equally ensure the protection of life and property of Nigerian citizens. This basic responsibility of government had been abandoned and neglected over the years leading to major security lapses and the killing of many Nigerians by the terrorist Boko Haram and the rampaging killer herdsmen. Chief Chukwueke, however pledged that APGA will take from its mantra of "no one and no place, left behind", to committedly ensure the safety of every Nigerian and the security of the entire nation. "APGA Presidency will guarantee safety of life and property as all human life is precious and must be kept safe", he said.